Spring break is right around the bend. While enjoying the sand and sun at an exotic beach location or hitting the slopes at a popular ski resort may sound appealing, such options are not financially feasible for everyone. Especially if you happen to be broke (or simply thrifty) and on a budget. 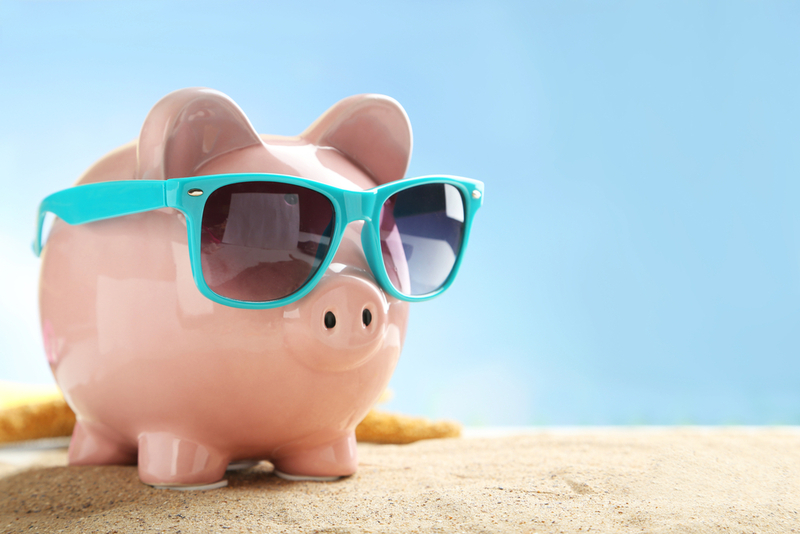 Being on a budget, however, does not mean that a memorable spring break is not possible. Sometimes it just requires a bit more creativity. I have two friends who are experts at vacations on a budget. With a goal of visiting (or at least setting foot in) every state, they carefully watch for travel deals and take advantage of the best ones they find. Traveling with them, I’ve enjoyed the benefit of their bargain-shopping expertise while seeing parts of Colorado, Portland, Oregon, and Seattle, Washington. At last check, they only had a handful of states left to see. This led them to add destinations outside the country, which is more challenging. Yet they’ve managed to visit Ireland, Greenland and a few Caribbean islands for a fraction of what others pay. Choose a comfortable spending limit. This gives you parameters to stay within as you plan and will (hopefully) prevent you from exceeding your budget. Choose travel companions. Maybe it’s your family. Maybe it’s a few friends with whom you’ve been meaning to catch up with or even friends that you see every day. It doesn’t matter who it is as long as you share the same goal – relax, laugh, rejuvenate – and everyone agrees to do so on a budget. This way, you have people you enjoy being around who can also split the costs. Choose a destination. Somewhere that’s just far enough away that the drive there allows for time to clear your mind, but close enough so you don’t spend a significant part of your vacation in the car. Finding a place that’s a little off the beaten path and less crowded than the latest “it” place may also prove to be less taxing on your wallet. Choose a grocery store. If this one has you questioning where I’m going with this, just bear with me for a moment. In most instances, house rentals come with well-equipped kitchens. Stopping by the grocery store with a pre-determined, agreed-upon list will likely be much more budget-friendly than eating out for every meal. Cooking breakfast and packing a lunch and/or snacks to eat during daytime activities may allow you to feel less guilty about splurging on evening meals. Choose free and/or low-cost activities. Plan a lakeside picnic, window shop the local stores or go for a hike. A simple Google search can provide free events and activities in and around the area in which you’re staying. You can also hit up Groupon or LivingSocial for fun things to do at a reduced rate. When it comes to your plans for spring break this year, try stirring your creative juices instead of blowing your budget. You may just end up with endless great memories and some extra change in your pockets.